To make sure you get the best deal we'll show you great prices from all of our drivers, including Kadior Transport, if they're available on the day of your move. Have a question for Kadior Transport? No problem, send them a message and they'll email you back as soon as possible. If you have a more general question you might find it answered in the FAQ, or you always contact one of our brilliant customer service team. * Kadior Transport won't be able to see your email address. He was very kind, efficient and fast doing everything. He was late but I suspect the traffic had something to do with it..he had problems finding my other address but once I'd called him...he got there with no trouble..I'd still use him again..did a good job! Th driver informed me of his delay and that was fine. He was extremely helpful and polite and I thoroughly recommend him! The originally booked driver cancelled on us and we were directed to Kadior Transport. Turned out lucky! 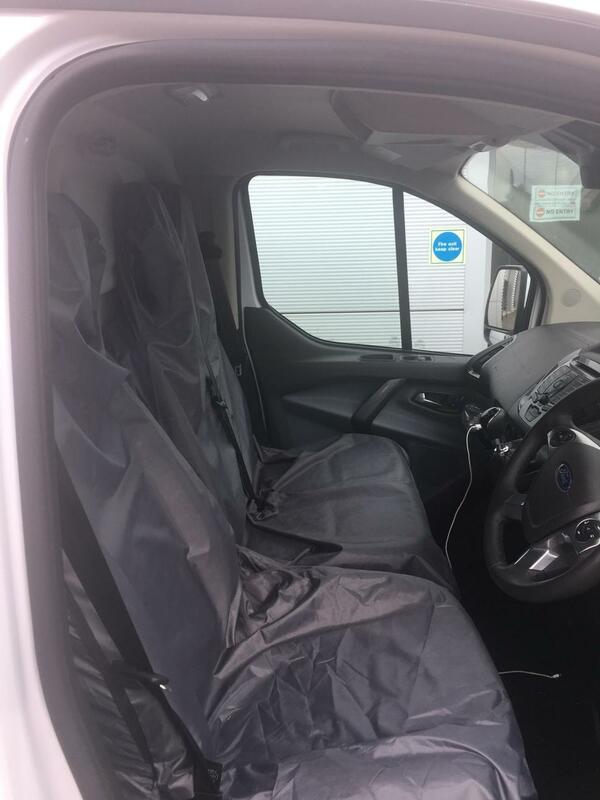 The driver was a great man, positive, helpful, respectful, experienced with moving different stuff around and loading them into the van, making a tiring and stressful day much easier and pleasant. Would definitely hire again or recommend to a friend. Thanks! Our driver was very helpful, efficient and friendly. He helped make a very stressful day much easier! Driver arrived late but he was super friendly and efficient. He helped us load and unload all our items quickly. We made it to our new place right on time. He was helpful, quick and very reliable. Only 15 minutes late but texted in the morning and was so quick with the move and so helpful. I would definitely recommend and book again! The driver was amazing! He was really helpful and packed the van really well. When unpacking he was incredible carrying up to three or four boxes at a time. Super friendly and I would definitely move with him again! A really positive experience- extremely helpful and efficient, despite the blazing August heat, he strove to make our move as pleasant as possible. All our stuff did well and nothing is broken. A very nice guy. Very good guy ! He helped us and we did the moving very quickly. The van is new, cleaned and well kept. Suggested+++ ! The driver was very friendly and very helpful! I would definitely recommend him for a move and use his services again. The driver was brilliant. Good communication, amazingly careful and quick. Definitely will recommend them. Absolutely brilliant. My original driver was swapped out to Kadior, who was friendly, respectful, and thoughtful, thinking ahead to make the move easier for us both. He was about 20 minutes late due to traffic but it was no big deal. Had a great chat with him too! Wouldn’t hesitate to recommend him. Absolutely fantastic chap, solid conversation too. Diamond. Top professionalism, hard-working and removed some of the stress that comes with moving house. Would definitely recommend! He got loads of conversation and is really funny. Would use again ! Absolutely brilliant - no problem that he was late. Really friendly and lovely guy - thanks!! Driver was a little late but kept in contact the whole time and made the move very easy. Driver was late, from the time we originally booked but this was understandable as the 1st van we booked broke down. However, the moving experience was smooth and quick. Super nice guy! So helpful and friendly. Thanks to him my move was totally stress-free. Cheers!! 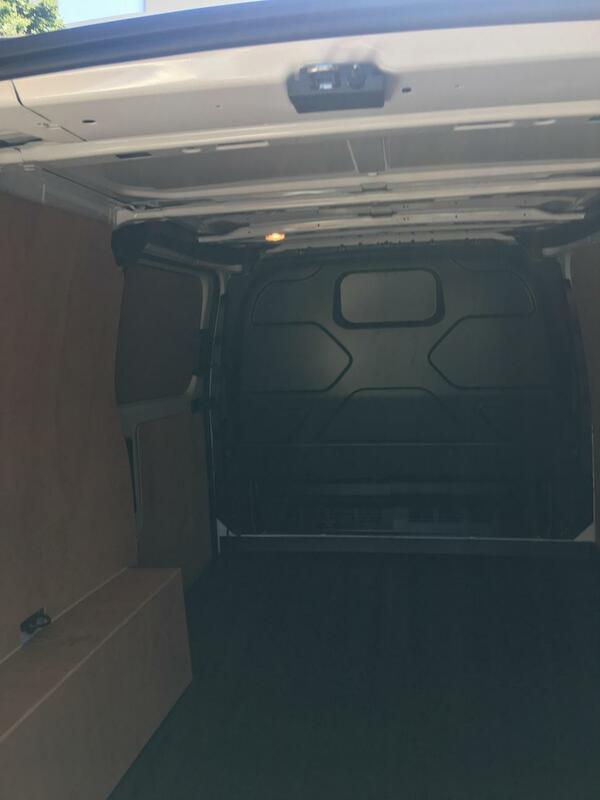 My move was within London, Man and Van arrived on time and the whole a to b was over within the 2 hour slot. Very happy and will use again. Our driver was a absolute legend ! He got us to our destination on time even though there were lots of delays on the motorways due to a special sat nav he used, he was able to keep changing our route to miss the traffic. A very very hard working man and very helpfull. Enjoyable to spend time with such a nice person. Best service ever, I won’t even bother calling anyone else. Helped when he didn’t need to, kept us entertained throughout and a true gentleman. Highly recommended!!! Really nice bloke and was really helpful. Carried all our stuff. Really clean van. Would hire again in a heart beat!!! He made my moving day seamless, great attitude and chat while driving to my new flat. Highly recommend! There is no refund for booked hours not used as you have booked the driver for the whole of the 3 hours and he is therefore unable to take on any other work for that period. Excellent service, very kind and respectful of property. He was very helpful, and professional. Kadim and his energy was so nice. I am happy work with him. Great service, friendly driver, punctual - the best! Kadior is very helpful and pleasant to work with. Highly recommended. The driver kept me informed that he was going to be late because it had been snowing heavily. He was very apologetic about being late and extremely helpful when he arrived. Awesome driver. Kadim is very good at his job and I would recommend him to anyone and will surely use him again. My heaviest item was a dense double mattress and he danced it up three flights of stairs with ease. Really great service and excellent value. Will use again. Karin was extremely helpful and we accomplished the move effortlessly from the third story and to a gated (no vehicular access) 1st floor flat. Smiles all the way. Great service and a great guy. Would recommend to anyone. Great service. Would recommend and use again. Super nice and helpful driver !!! Driver was late by 40 minutes, but kept me updated on the status along the way. Very friendly and helpful. I had changes to my booking the week before and Compare the Man & Van helped me sort it out- great service there too! Thank you everyone! Excellent service, Kadim helped out all the way from taking my items out of the flat to driving them to the storage and moving them in. I would definitely recommend him for anyone moving house. He was great and very efficient! Our Driver was a delight. How ever the van was 40 mins late and we were only told when he was already 15mins late he would be 20 mins late. This was really disappointing and when we rang the phone went straight to answer phone. Easy move - I would definitely book again! He was really nice and friendly, made the move feel easy. And he was very speedy too! He was about 90min later due to an accident on the roads, which is fair enough, he kept sending texts to update us so we knew what was happening. Really good move. Extremely helpful getting furniture up narrow flights of stairs. Brilliant-thank you for your help and the interesting conversation! Great quality service, very professional driver. 100% would recommend to anyone looking to move. Lovely guy with nice clean van. Super helpful and great communication all the way through the day. Late arrival but it is London and moves can overrun especially when last slot in the day, but handled well and professionally all the way through. Would definitely recommend. Excellent all round and went out of his way to be helpful and creative in getting the job done. Very friendly and helpful driver. Extremely pleased with his service, would highly recommend. Such short notice service, within an hour of our call was fantastic, but our driver was nothing short of Superman. He made light of hard work and lightened our mood every minute. I can't praise your service higher. Thank you! I was informed the van would be at my place by 18:15, but I received the call from the van operator at 18:15 stating they only received the request then and it will take again another 45 minutes for them to reach here, and finally the van arrived at 19:30, one and a half hour late. We are sorry that you experienced this delay with your booking. The driver was at all times aware of the time of the booking and we expect all drivers to arrive on time. We do have a lateness refund policy which you will find attached to your email booking confirmation from which you will see that you are certainly due a partial refund for this delay. Driver was late but he called and messaged to let me know (traffic was mad) so no problem - once he arrived he was absolutely brilliant, courteous and helpful, packed everything very fast and delivered safe and sound. Great service. Highly recommended - thanks for making what could have been stressful into a very easy move day. My driver was fantastic! He was so helpful and energetic and made my day so much less stressful. Thank you for helping me especially those heavy boxes! Absolutely fantastic! So quick, friendly and professional. Would definitely recommend! Driver was a little late because of traffic, but really helpful and a pleasure to work with. A good experience. Brilliant service - highly recommended! Excellent service. Mr. K was really helpful, polite, friendly. He was able to make us feel good and secure during the ride. Would definitely call the same driver next time. Great driver! Was very impressed. Efficient and friendly! Perfect new van. Friendly and very, very helpful! Absolute pleasure. Could not have asked for a better service! Perfect. Driver was early, helpful, carried items, very friendly. Could not be better. Extremely quick and efficient, took significantly less time than I had anticipated. He was late on arrival but he made up for it by delivering the goods to me very quickly and efficiently and was very helpful. I would definitely use this service again. Thank you so very much for a great service provided, I would recommend to anyone and book again in the future. Is the service only A to B? The quote you receive for your booking is based in part on distance, so will reflect the post codes you have entered into your booking, including any via stops with additional addresses. Helpful, perfect and very willing to accommodate with the move! Highly recommend! Driver made my moving day feel easy and stress free. I'm very happy with the whole experience! Highly recommend. Thank you. The driver was amazing! Such a nice guy, really helpful, friendly, and respectful of our items. Would happily reccomend and certainly use again. Thanks. Wonderful driver, super helpful and friendly. Would 100% recommend and use again. Thank you! The driver was amazing. Super helpful, very friendly, made everything as easy as possible! Highly highly recommended!! Such a great experience, would definitely recommend! Very friendly helpful and polite, would recommend him to anyone. A very personable and friend driver, who packed and moved things efficiently and with ease. Was 10mins late, but rang to let me know - no harm done. I did ask for a trolley to be on the safe side, but we managed without it reasonably easily. I had a lot of clothes in a large plastic vacuum pack which could have been carried a bit more carefully, but it was fine. The driver drove safely, and carefully with the load in the back, confirmed with me again that the congestion charge would be more (which was totally fine as it is pre-advertised when booking), and he managed to fit the van in a tight car park right in front of the new place. Would use again. Addition to my review; Kadior was an excellent service. So grateful this lovely gentleman saved the day for me. Two changes of driver. Kept saying they were on their way, only to discover they had lied and actually double booked us with someone else. 2.5 hours late. Smashed a whole box of plates/bowls. Offered us a ten pound discount but this did not make up for the stress we went through or anywhere near the cost of damage. Kept calling me by the wrong name also even after correcting him via text and in person twice. We will never use man with a van again. Very nice guy, professional and ready to help. Quickest and Easiest move ever! Our driver was amazing, very helpful and super friendly. He made a stressful morning full of laughs. Very nice driver. Helpful and kind. Recommended! He was great, super quick and helpful.. couldn't have asked for more! Great service. London traffic is bad so he was slightly late but let me know in advance and kept me informed. Also a really good guy and really helpful. Recommend highly. Mr K is lovely and helped us a lot in the moving. Thank you so much! Excellent service! The driver was fantastic and carried lots of heavy items and was on time. There was no need for straps or blankets and I would recommend him again! He was 30mins late but did call me before hand to let me know. He was very quick with loading and unloading. Very friendly. Would recommend. Driver was supernice! We had to wait but the traffic was a nightmare so we can understand! Also it was very friendly and helpful with our stuff! Many thanks! Great experience, thank you so much for your help! Cannot recommend enough! I had such a stress free move. Driver was great, helped me move everything out and in, no questions asked and handled all my belongings with care. Drive flew by and chatted the whole time. Such a nice guy and great service, couldn't recommend enough. Would definitely book with him again if I ever needed a man in van service! !